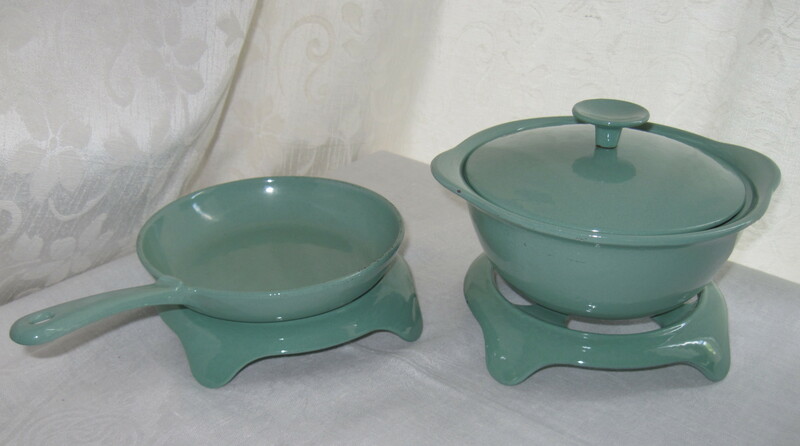 Grindley Manufactured these dishes in 1954, which can be determined from the marks on the bottoms of the dishes. There are 8 place settings, minus the cups and saucers. For some reason they were not with the set when I purchased it. 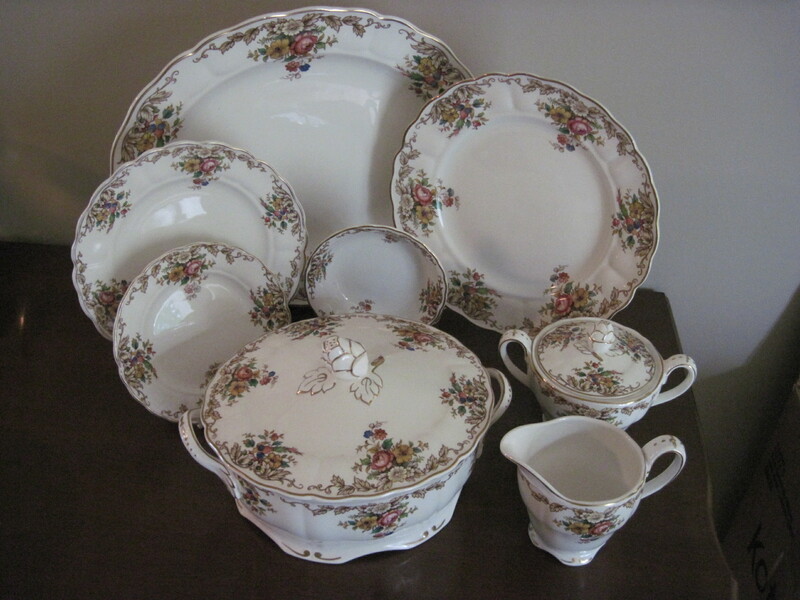 The place settings consist of dinner plate, lunch plate, side plate, dessert bowl, and rimmed soup bowl (not shown). The completer pieces consist of a turkey platter, smaller platter, covered casserole, cream and sugar, and vegetable bowl. 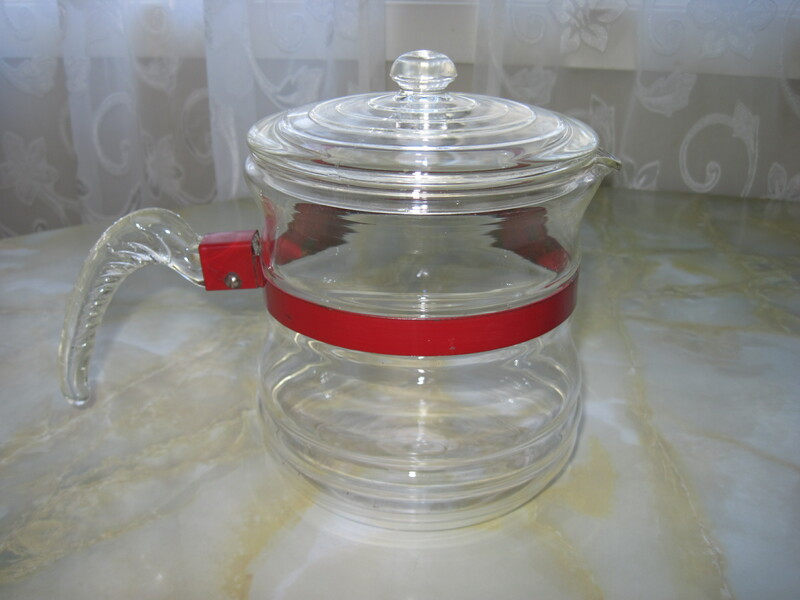 Wonderful condition overall save for a few utensil marks. Will be for sale at my booth at the Almonte Antiques Market, 26 Mill St., Almonte, ON. Price for all $150.oo. PLEASE NOTE: These dishes have been SOLD!!! The colour is a pale green/turquoise almost like Jadeite. They will be for sale at my booth at the Almonte Antiques Market, 26 Mill Street, Almonte ON. Price $25 for the small frying pan, $40 for the small covered casserole, $15 for each of the trivets. NOTE: These items are now SOLD!! 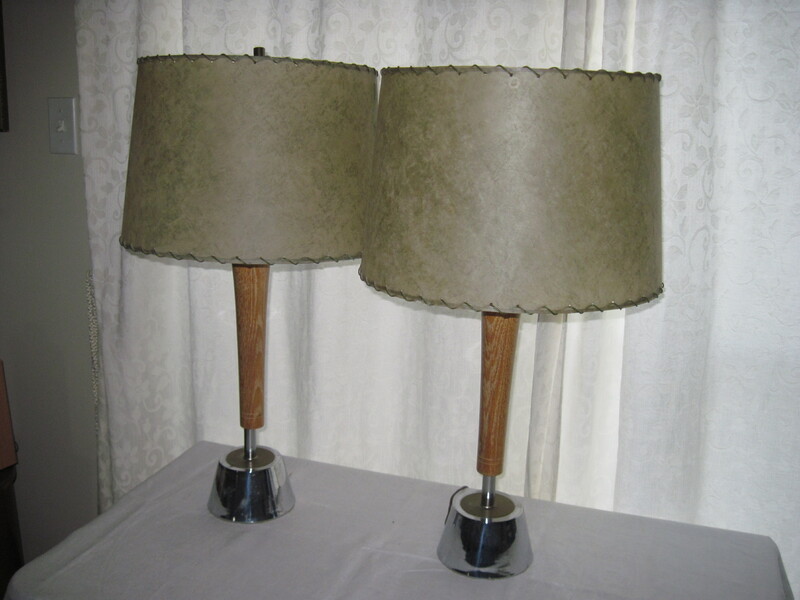 Lovely vintage pair of lamps with mid century modern look of wood and chrome bases. The fiberglass lampshades are in very good condition. The pair will be for sale in my booth at the Almonte Antique Market, 26 Mill St., Almonte ON. Price $50 for the pair. 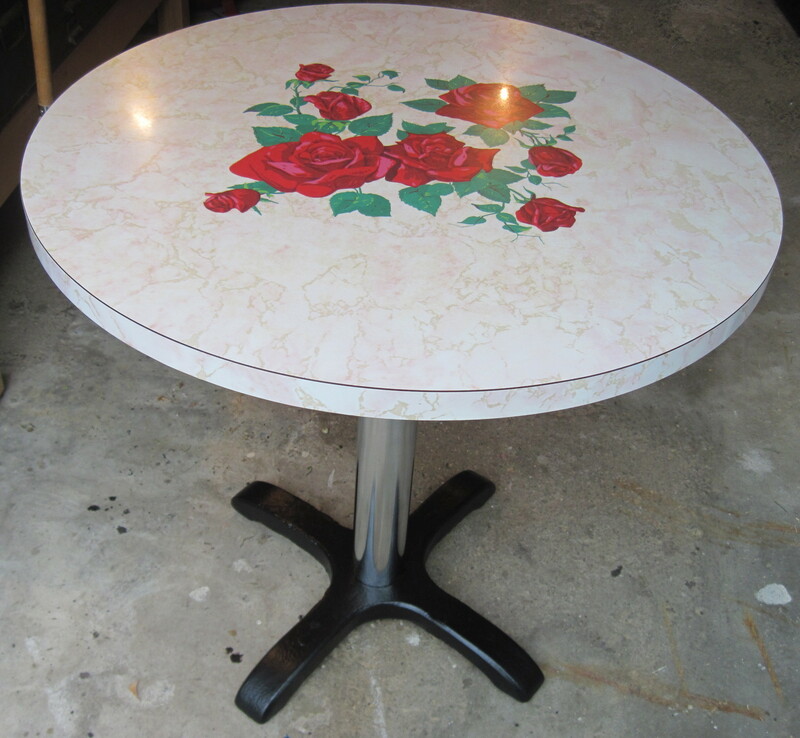 The above are all examples of Holt Howard’s kitschy designs ca. 1950’s. Holt-Howard was created in 1948 by John and Robert Howard and A. Grant Holt. They made cutesy items for the kitchen and giftware. 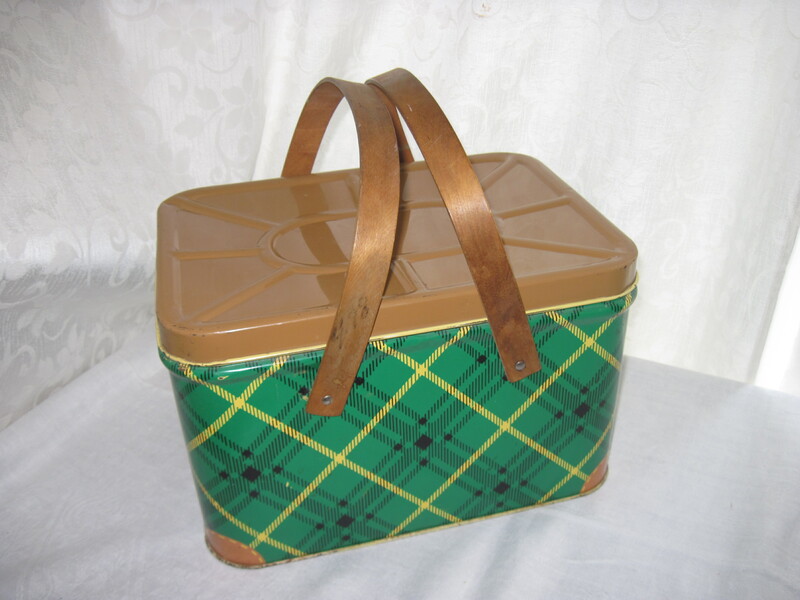 They are probably best known for their pixie ware which commands high prices in the collectibles market. 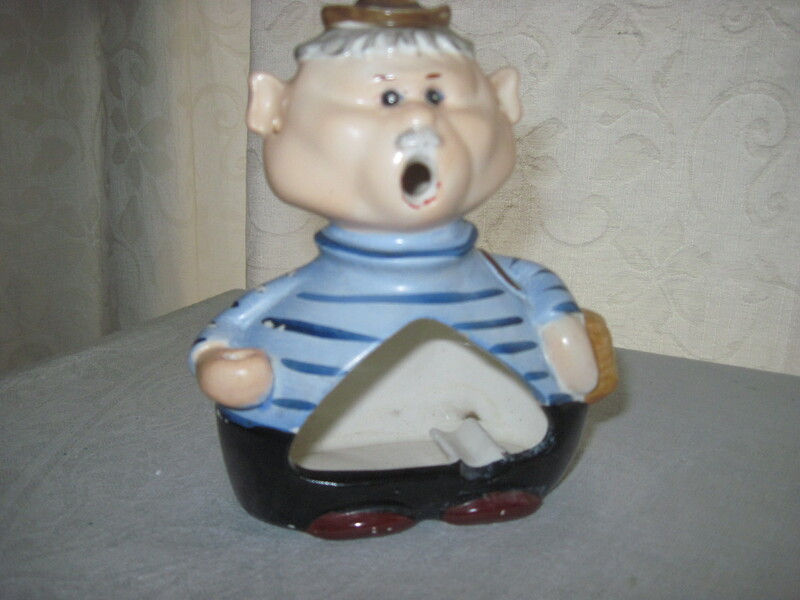 The 1954 ashtray in the shape of a man in a striped shirt allows the smoke to escape through the mouth. 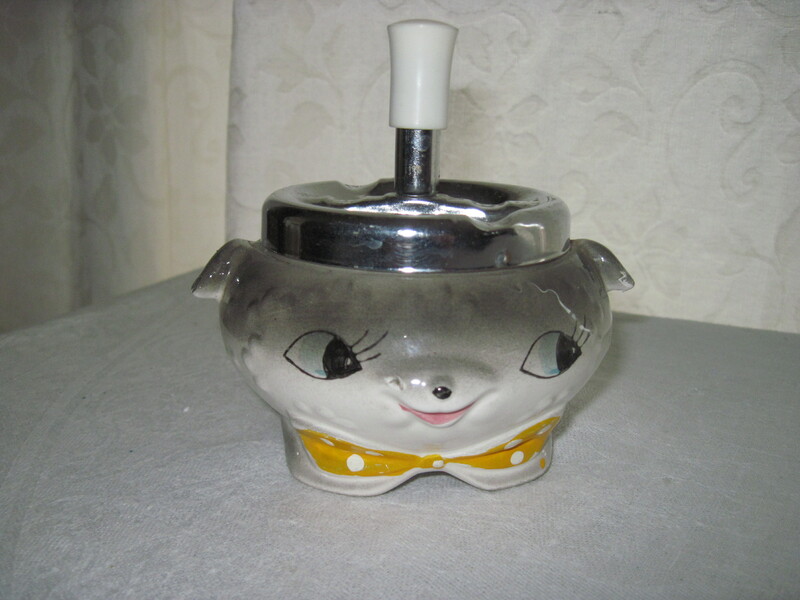 The cat ashtray sports a push down handle which empties the ashes into the head. 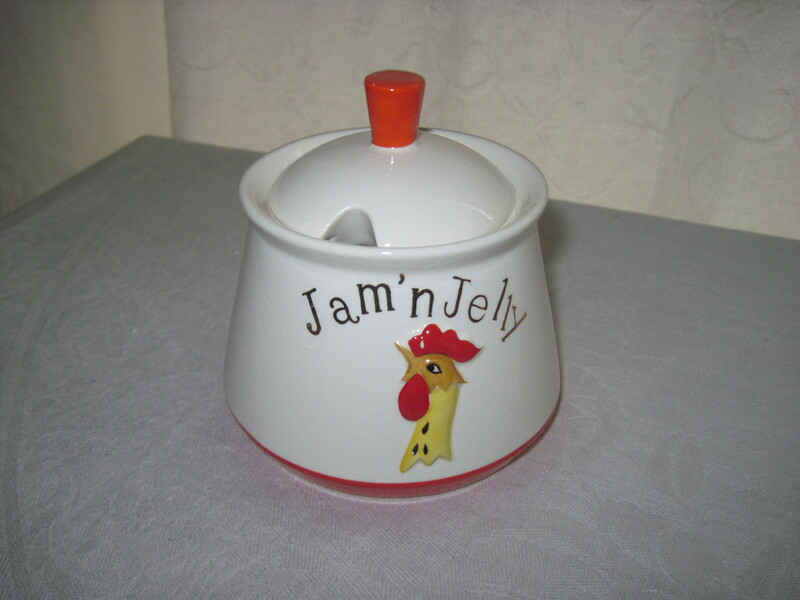 The Rooster jam and jelly jar is one of many dishes that were embellished with roosters by Holt Howard Co. They ceased all production in 1990. These items will be for sale at my booth at the Almonte Antique Market in Almonte Ontario. Please note the cat ashtray is SOLD! !